Professor Dana Nau (CS/ISR) and ISR-affiliated UMIACS Director V.S. Subrahmanian (CS/UMIACS) are the principal investigators for “Cognitive Architecture for Reasoning about Adversaries,” a project selected as one of 30 winning proposals in this year's Department of Defense (DOD) Multidisciplinary University Research Initiative (MURI) competition. The three-year project is funded at $3.4 million, with an option for two additional years. The project is within the “Dynamic, Adaptive Techniques for Adversary Behavior Modeling” MURI category and will be funded by the Air Force Office of Scientific Research (AFOSR). The project will develop theory and algorithms for a cognitive architecture for reasoning about adversaries. This architecture will initially estimate adversary models, then automatically modify and continuously update them for a variety of DOD customers and client programs. The researchers will develop ways to access and integrate diverse databases; dynamically learn what adversaries think; create an adversary modeling language; learn, calibrate, and maintain adversary models; construct a strategy development architecture; and develop an adversarial game testbed. 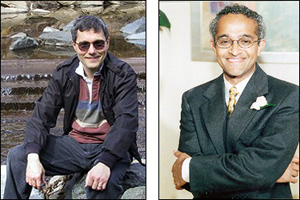 The cross-disciplinary team includes Professor Michael Fu (BGMT/ISR) and Barry Silverman (UPenn), who are experts in operations research; Nau, a game-tree search and planning specialist; Philip Resnik (Linguistics); political scientist Jonathan Wilkenfeld (Government and Politics); machine learning and data mining researchers Subrahmanian and Lise Getoor (CS/UMIACS); and Marvin Weinbaum, a cultural expert on Afghanistan and Pakistan. Each year the DOD awards basic research grants to conduct multidisciplinary research in basic science and engineering through its Multidisciplinary University Research Initiative (MURI) program. This year 30 grants were awarded to 20 universities out of 143 full proposals submitted to the rigorous competition. The University of Maryland received two MURIs; in addition to the Nau/Subrahmanian project, Professor Alison Flatau's (Aerospace Engineering) “Structural Magnetostrictive Alloys: Revolutionary Materials for Transducers and Adaptive Systems” also was selected. Awards in this year's MURI program will total approximately $13.5 million in fiscal year 2006 and about $30.2 million per year starting in fiscal year 2007, for a total of $150.6 million over five years.